Dapper and practical. 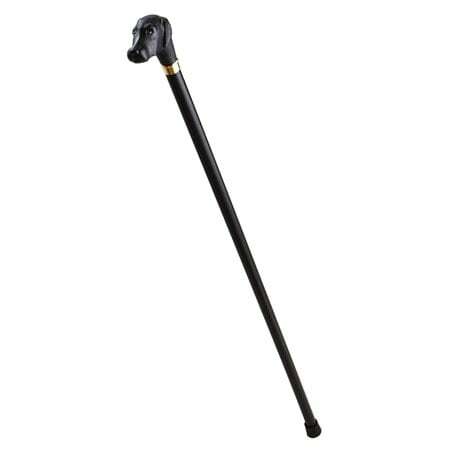 Handcrafted stick is aged, kiln-dried wood with a rubber tip, distinctive handle, and brass ferrule. 36" long (for men up to 6'1"), it's a solid, reliable walking companion. From Concord, purveyors of fine gentlemen's accessories. Made in Italy. Sold separately. Jake (Mallard) XB0862 Harvey (Rabbit) XB0842 Scout (Black Lab) XB0852.